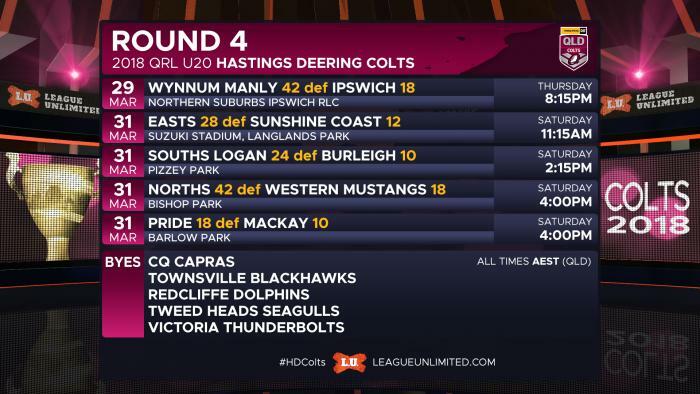 All the results and scorers from the fourth round of the QRL's Hastings Deering Colts under 20's competition. All listed times are AEST (QLD). CQ Capras, Townsville Blackhawks, Redcliffe Dolphins, Tweed Heads Seagulls and Victoria Thunderbolts had a bye this round.